I see each precious stone as a small work of art created by nature – whether facetted or polished, brilliantly colorful or delicately transparent, with inclusions or without. I am always looking for especially beautiful and unique pieces. Sometimes, I discover "old treasures" and transform them to create a new, contemporary look. 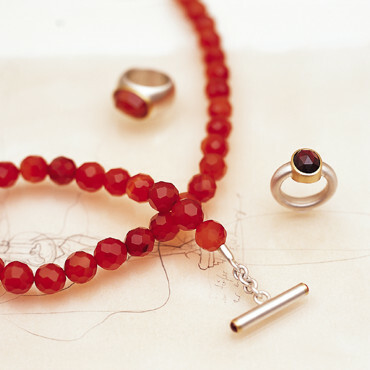 Streamlined, graphic shapes allow precious stones to make an even stronger impact.